A game modeled after classic JRPGs, but using them as a jumping off point rather than something to slavishly recreate. The mechanics start with Chrono Trigger as a base and the story premise is reminiscent of Final Fantasy X , but I Am Setsuna goes in its own direction and has its own strong identity. The result is a game that - while flawed and small in scale - feels like it comes from an alternate world where Squaresoft never stopped making these kinds of games. The game takes place in a cold and dark world where there is always snow and there are always monsters. A once-per-decade human sacrifice keeps the monster threat at manageable levels, though it’s still dangerous to travel alone. The story is about Setsuna, the latest planned sacrifice, and the guardians escorting her to the Last Lands to fulfill her fate and buy another ten years of human survival. Along the way are reveals and surprises - some about the world, some about the people and places you see along the way, and some about your own party members. Early reveals are properly foreshadowed, satisfying to learn, and are reflected in later conversations and events. Unfortunately, the storytelling worsens somewhat and later reveals tend to lack one or more of these elements. Some solve mysteries you didn’t know existed and then never affect the plot again, such that if you ripped out the reveal scene entirely it would feel like less of the story was missing. How forgivable this is depends on how drawn in you were by the earlier and better-executed storytelling. 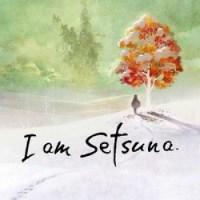 A lot of I Am Setsuna is like that, really. None of the game’s flaws are clear dealbreakers, but your ability to look past them and enjoy the game probably comes down to whether the game’s atmosphere and mood work for you, since that’s clearly where a lot of resources were poured. For example, a common criticism of the game is that the abundant snowscapes become monotonous, but this is clearly a deliberate design decision. There are snowfields and icefields seen at different times of day, multiple different snowfall weather effects, and when you walk through deep snow you create a path behind you which gradually fills as new snow falls into it. This isn’t laziness or lack of creativity - it’s dedication to a vision. Nearly everything about the game is specifically tuned to create a feeling of setsunai - a difficult-to-translate Japanese word for a bittersweet sadness about the inevitable fading of things we love. It is the sorrow and joy of green fields buried in white snow, of Setsuna dying so that others may live, of noble deeds to honor fallen loved ones who will never return. If that appeals to you and you enjoy JRPGs, I encourage you to check this game out. The characters are likable, the story enjoyable, and the world satisfying to spend time in. There’s a beautiful and understated piano-based soundtrack. And the combat system is pretty good, essentially being Chrono Trigger ’s with added strategic depth via the “momentum” system allowing you to store up and make use of extra effects on your abilities. But if the mood doesn’t appeal to you, then skip this game. You’ll be put off by the visual and emotional monotony, the overly-complex “fluxation” system that allows you to permanently enhance your abilities but is too constrained and random to be useful before the endgame, and the too-easy-to-get-into-by-accident battles with elite enemies that can be party wipes if you don’t quickly use an escape item. There’s plenty to like in I Am Setsuna, but something has to hook you strongly enough to pull you through the game’s flaws. If the atmosphere works on you, that can easily be enough. But if it doesn’t, nothing else will come close. I Stopped Playing When: I finished the game. I did not do the endgame sidequests, because they literally become available immediately before fighting the final boss. At the game’s emotional climax, I’m not going to just walk away to do side quests. So I beat the game first. And then the ending provided such strong emotional closure that I didn’t want to undo it to go do side quests. I probably would have done them if they’d become available earlier.